Never lose or misplace a file again. Whether your documents are paper or electronic all of your records are fully text searchable, making it possible to retrieve any document instantly. By managing records electronically you can collaborate with stakeholders, avoid missing deadlines, and comply with regulations. Electronic signatures, document authentication, version control and audit trail features ensure your contracts are legally acceptable. A secure web-based interface provides access the ability to freeze specific documents due to litigation. Additionally, the ability to apply a retention category, which allows the purging or movement of document types based on a date/time or event. DocStar comes standard with automatic retention scheduling while other competitive systems require a paid plugin. Employees get what they need faster with a secure single repository for records. 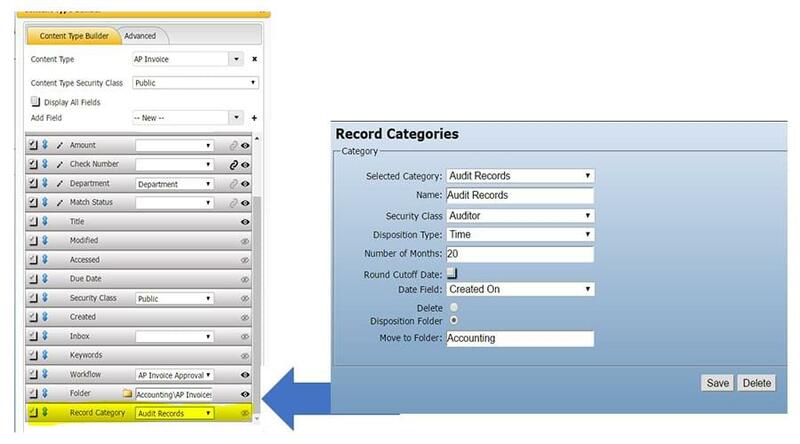 Manage all of your records through their entire lifecycle. Free your staff to focus on more valuable tasks and never lose or misplace a file again. We create solutions tightly integrated with the leading core business solutions allowing you to enter your documents and data in one step while storing them in the document management system. DocStar can be integrated with any MS SQL/OBDC compliant system.